Our company is engaged in Manufacture, supply and export of Dant Dosh Har Manjan. The Dant Dosh Har Manjan is used for brushing teeth. Dant Dosh Har Manjan is rubbed on the teeth to get clean and white teeth. Regular use of Dant Dosh Har Manjan helps to overcome gum problems like bleeding and puss. 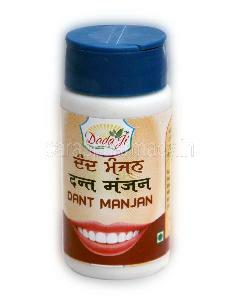 The usage of Dant Dosh Har Manjan 2-3 times whitens teeth.